After helping save two toddlers stabbed by their own father, a Maryland paramedic is working to make sure the children have a good holiday. 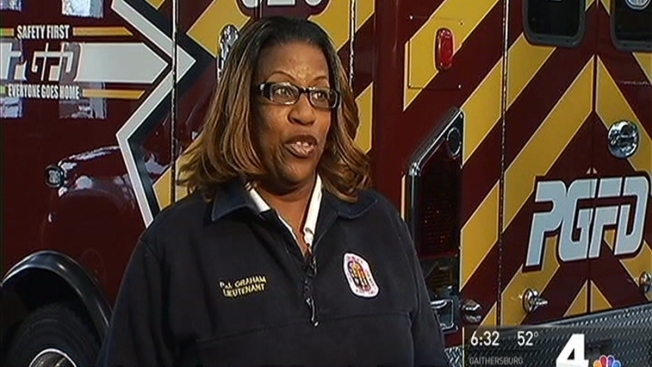 The night of Nov. 11, Prince George's County paramedic Lt. Pamela Graham responded to a home in District Heights. "We got the call as 'children stabbed,' so you always think, 'No, this cannot be. Something's wrong," she recalled. A 2-year-old boy and 3-year-old boy were stabbed by their father, 25-year-old Christian Diller, police said. The children were rushed to Children's National Medical Center with non-life-threatning wounds. Diller sexually assaulted the children's mother, police said. He was charged with first-degree murder, assault and related charges. Graham treated the children's wounds as they were rushed to a hospital. Weeks later, the case still haunted Graham, who has 20 years on the job. "Two-year-olds and 3-year-olds are supposed to be running around, jumping off the couch and playing with the toys," she said. So, she set up a website to raise money for the family. The children's mother is relocating from the house where the children's father attacked all three of them, and she needs help. Graham also is hosting a holiday party for the family. "We set up something for Christmas at my house, [with] the fire department and police department. Santa will be coming," she said. The YouCaring page Graham set up had raised $550 toward a $2,500 goal as of Friday evening.